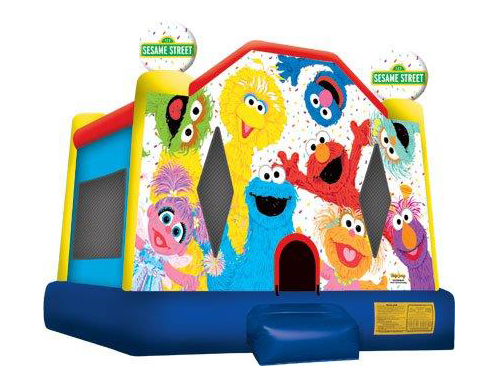 We have a selection of medium and large castles as well as jump / slide combos and wacky waving inflatable sky dancers! To book simply call us on 0403 243 761 or fill out our online booking form. Take out your map from your backpack and follow the road to the Castle with Dora the Explorer. Be a Princess for the day, in your own castle built for a Princess. 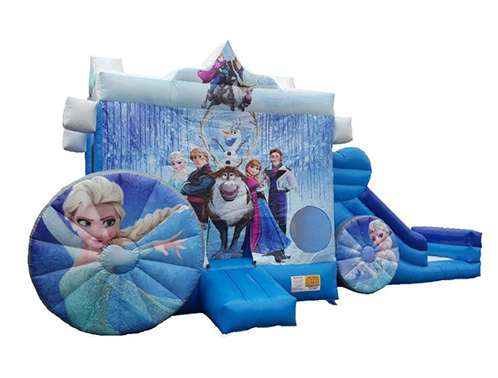 Be Anna or Elsa in your own castle built for a Frozen Princess. 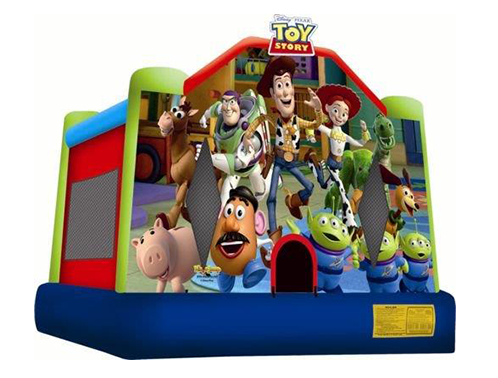 Why not have Woody, Jessie, Bullseye, Buzz and the Crew join you on your Birthday. Up to 8 occupants permitted at one time. 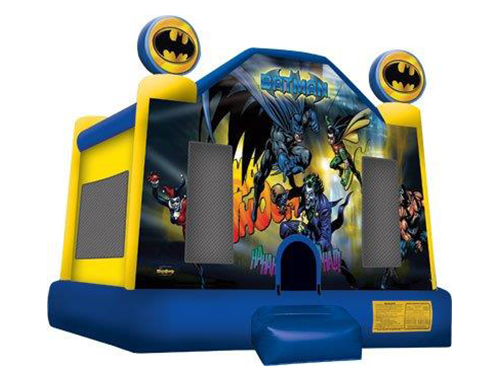 For the true superhero at heart, the Batman legend will come to life at your party. Up to 8 occupants at one time. 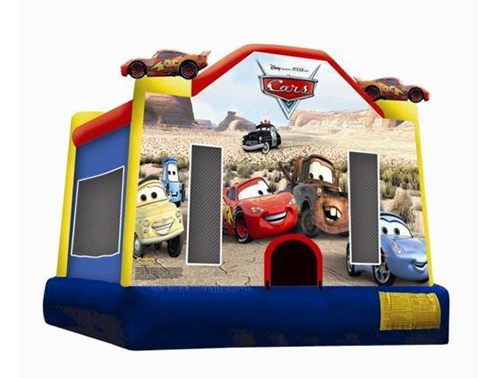 Rev up your party with Lightening McQueen and his friends. Cars is a very popular movie and the castle is just as popular for all ages. Up to 8 occupants at one time. 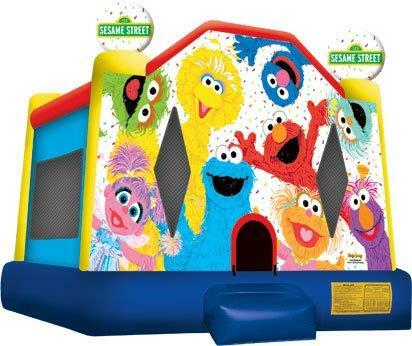 Elmo, Big Bird, Cookie Monster and the gang are sure to capture a ‘WOW’ out of any child. 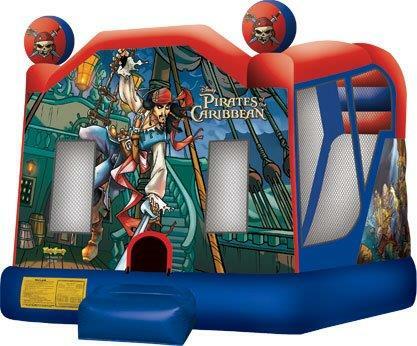 Kids will love this bold and bright jumping castle. Up to 8 occupants at one time. Aye – Aye Captain Sparrow !! Pirates of the Caribbean is popular for children of all ages. Up to 8 occupants at one time. 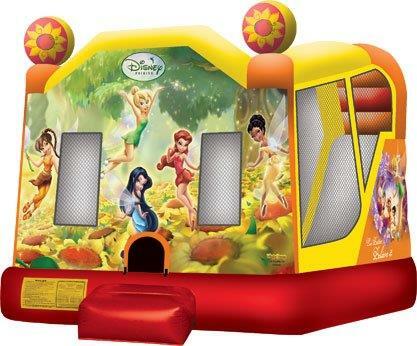 Play with the fairies for the day, in your own castle built in the magic forest . 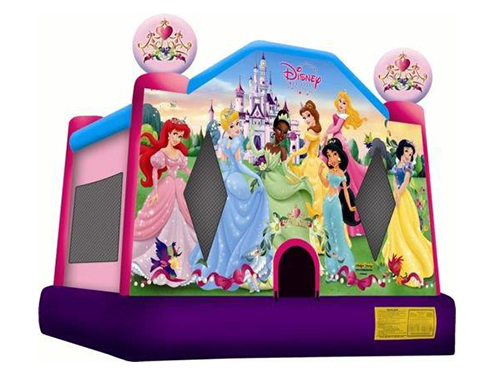 This Castle consists of a Climb, 2m high Slide, Basketball Hoop and Large Jump Area. Up to 10 occupants permitted at one time. For the Pirates with energy. 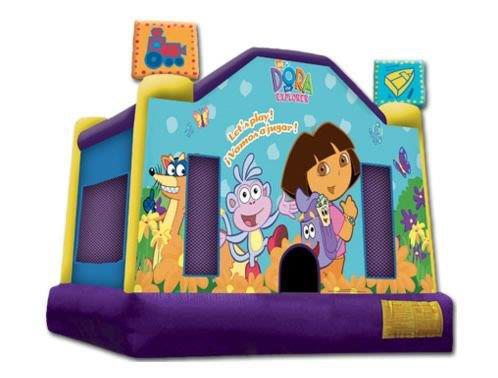 This Castle consists of a Climb, 2m high Slide, Basketball Hoop and Large Jump Area. Pirates of the Caribbean is popular for boys and girls. Up to 10 occupants at one time. 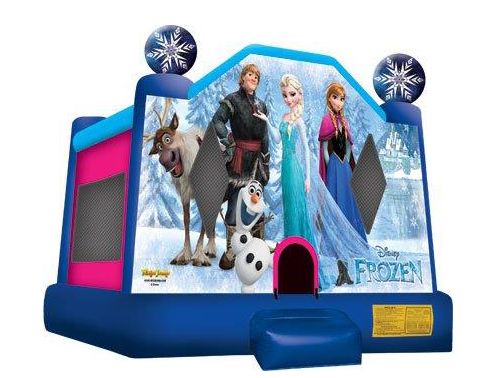 Be Anna or Elsa in your own castle built for a Frozen Princess. This Castle consists of an Obstacle Course, Climb, 2m high Slide, Tunnel, Basketball Hoop and Jump Area. Up to 10 occupants permitted at one time. I-twaught-I-taw-a-putty-tat. 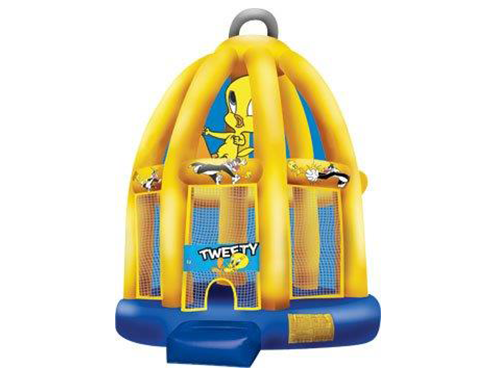 Tweety Bird sits high in a 6.5m tall bird cage. 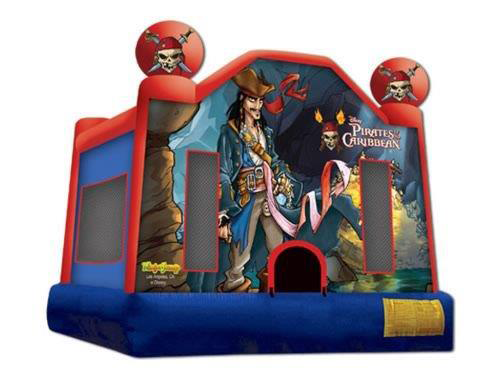 Great to draw attention at fetes & corporate events, but jumping area still sized to fit in most backyards for home parties. Up to 12 occupants. Would you like to draw attention to your special event or birthday party? 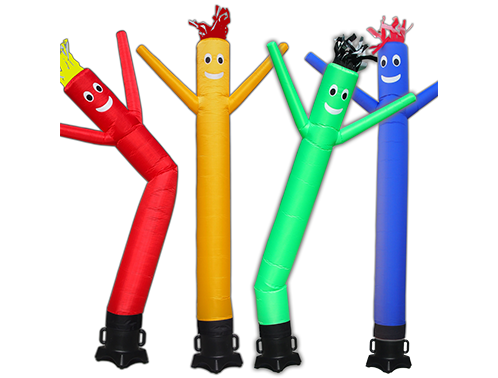 With our wacky waving inflatable sky dancers that gyrate, wiggle and dance all at the same time you can make your event stand out – visible from 350 meters away! Available in 6 different colours combinations.